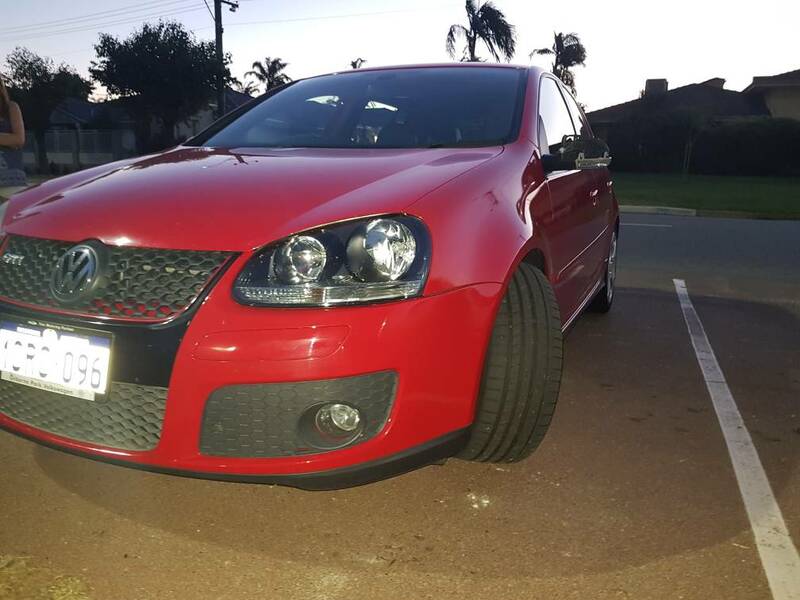 Hi guys, I'm relatively new to this forum and I'm looking for advice on what looks like a good opportunity to give my golf a good performance boost for cheap. Currently my red GTI is sitting at 120,000kms, 2 months ago i traveled interstate and found a wrecked stage 2 08 GTI, many of the parts had already been claimed but i went over and was able to remove the full 3' turbo back exhaust, ecs tuning lightweight crank pulley, GFB DV+, rkx turbo muffler delete. All up, these parts cost me $850 AUD, As of a few weeks ago everything has been installed, the car sounds infinitely better and i can't prove it but it is clear to me at least that there has been performance improvements. 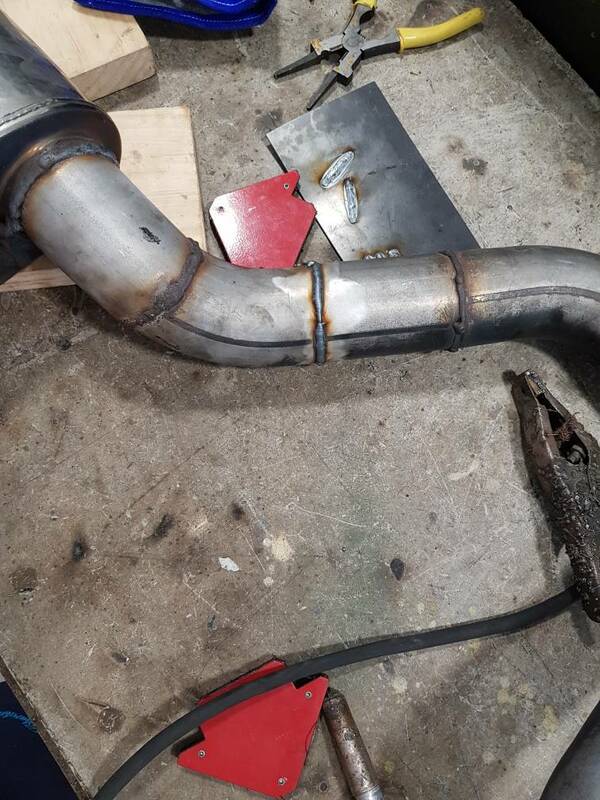 The downpipe and cat appear to be high quality tig welded stainless however the rear end of the exhaust was very poorly fabricated, as i had to cut it in half to transport this section i went ahead and ground and rewelded the welds. This portion was average quality mild steel that had been mig welded by a toddler. Money is exceedingly tight... (i have fuckall) however now that there is not much to do on my baby i need to think outside of the box. The Audi was bought today and the owner is not attached to the parts we are removing. Cheers for you're time fellas! So, you will be getting the Audi S3's turbo and oem FMIC to go along with what you just acquired? The engines are the same other than the turbo, injectors, intercooler, and one or both of the cams differ. You will need the injectors if planning to tune with an off-the-shelf tunes and they will require S3 or RS4 injectors. You will need what the tuner requires. If you're going to custom tune it...you may not need the injectors but the power will not be maximized. Also, to reach maximum potential...you will want to upgrade the hpfp internals. That will require you to swap in a new Cam Follower every 10k to 20k miles. Again, the hpfp upgrade is determined by the tuner. Shelf K04 tune...yes, hpfp upgrade needed. Custom tune...they can make it work without and depends on whether or not you want to get the most out of it. The K04 will run without; tuning, the hpfp upgrade, or the S3 or RS4 injectors...but it isn't worth installing all of it without tuning.